is a major watercourse of northwestern North America. 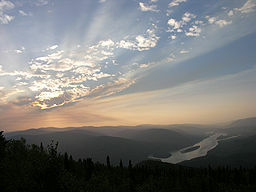 The source of the river is located in British Columbia, Canada. The next portion lies in, and gives its name to Yukon Territory. The lower half of the river lies in the U.S. state of Alaska. 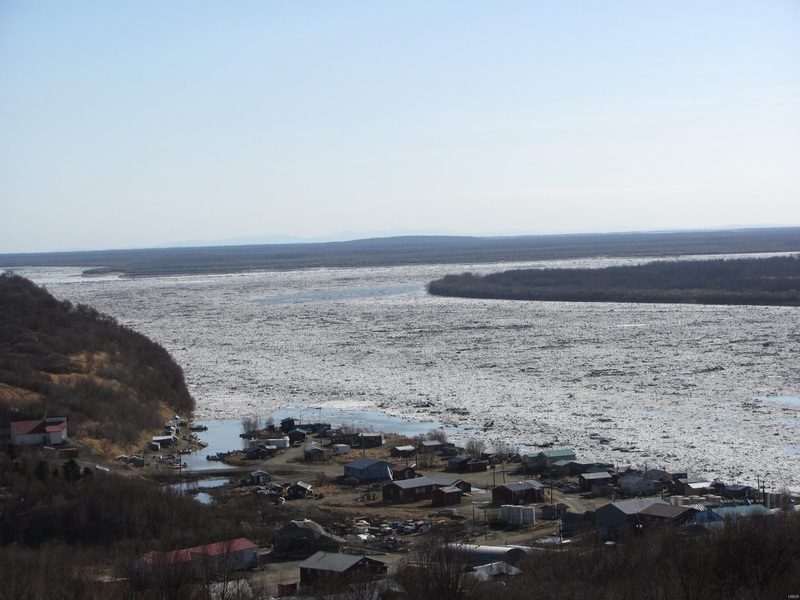 The river is 1,980 miles (3,190 km) long and empties into the Bering Sea at the Yukon-Kuskokwim Delta. The average flow is 6,430 m³/s (227,000 ft³/s).The total drainage area is 832,700 km² (321,500 mi²), of which 323,800 km² (126,300 mi²) is in Canada. By comparison, the total area is more than 25% larger than Texas or Alberta. The longest river in Alaska and the Yukon Territory, it was one of the principal means of transportation during the 1896–1903 Klondike Gold Rush. Yukon means "great river" in Gwich'in. The river was called Kuigpak, or "big river", in Central Yup'ik. 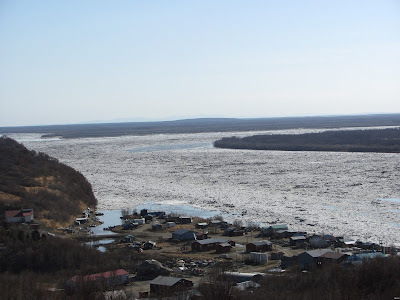 The Lewes River is the former name of the upper course of the Yukon, from Marsh Lake to the confluence of the Pelly River at Fort Selkirk.
. WKD : The Alaskan Malamute .